I don’t really know the answer. I do know that some people call it determination, while others call it stubbornness…. I also know that I can see it in some people…but it doesn’t appear to be in every person. I just spent the last few days at a horse show and there were definitely other determined people there. What do you think makes someone determined? Is it an internal drive or an external drive in your opinion? ← Is my horse paying enough attention? 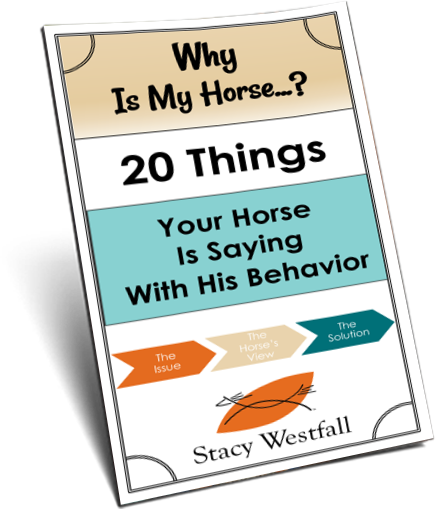 How focused should my horse be while I am riding? I true love for what ur are doing a strive to do well. Determination is probably setup by both internal and external conditions. I grew up in a large family where there was little in material items in our lives. The scarce life style was an external condition, but all of us kids emerged from our family as determined. It shows in all we do. Our work, our hobbies or faith. As a parent I think you can disrupt a child’s determination by how you interact with them. Take their innate determination and tell them (actions and words) they can accomplish whatever they put their mind to, don’t give them too much (material things), help them learn the value/reward in hard work and determination (tenacity) … and that child will be raised up to be ‘Determined’. Being determined has pushed me through the toughest times and provided me with the most satisfaction. I believe Determination is internal. It could be stubbornness with some but I like to think it means sticking to a goal until it’s conquered! It’s a prize when the goal is complete! Some people have to work for every thing they get. 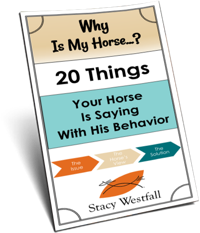 With horses there is a lot of ups and downs, it is not easy to train a horse. It takes patience and understanding and daily work. It is a lot like that in life. You have to stick with it and dont give up.You learn from your mistakes and keep on going. Thank God if you are that kind of person. I am in general a very determined person. 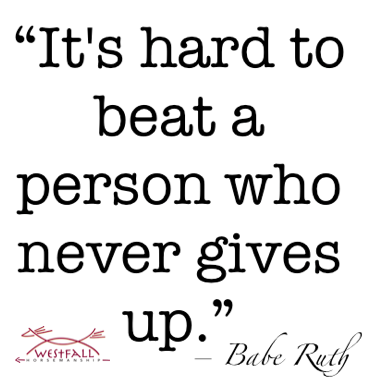 I never give up, but I am not competitive against other people at all. I just believe in trying until I have exhausted all avenues, whether it be trying to undo a bolt, or getting wild steers into a yard on my horse by myself. I have a great pony, had him since 7 months old, and he is now 16 years old. I could have won heaps, but my goal was to start a youngster and I achieved that. I think it can be both internal as well as external, in both animals as well as in people. An individual can be born with stubborn genes; but it seems that in individuals who aren’t as determined, if the right vision is put forth/communicated, and the reward of satisfaction and winning is achieved, then it can be channelled, or instilled, or brought out in those individuals as well–in both animals and people! I think determination and stubbornness are great qualities, despite the ‘double edged sword’ inherent there. In the dogs I have worked with, in the end (after a lot of patience and determined work–more determined than them:D), stubborn animals have made the better and more reliable companions and working dogs. Ultimately determination is internal. Nothing external can make you do anything. I believe its mostly an internal drive that gets you where you want to go and just a little bit of stubbornness. Only you know what you truly want and if you don’t act on it you will never know what would have happened. However, it’s always nice to have a external force to help you during the highs and lows of your journey. Sometimes there is that one person that if you didn’t have influencing you you might have gone down a very different path and never followed your dream.